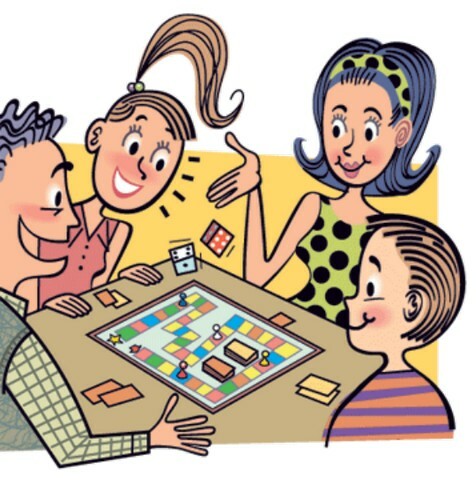 When I was young, we played board games like Snakes 'n Ladders, Ludo and Draughts (Checkers in the US). Then we moved onto Monopoly, Scrabble and other similar, harder games. All through that time we played card games too. Today, you can play games online or just constantly text to keep life interesting. That is what people often do rather than the more traditional sort of game. 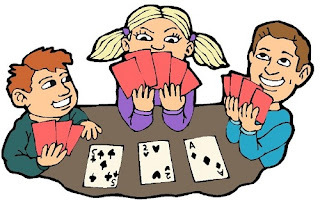 Is there any benefit to playing the more traditional board and card games face to face with people? I believe it is and here are some benefits. Of course, you need to play with the right attitude and treat it as fun to gain from them. Strengthens relationships with family and friends. Interacting with others in a happy, enjoyable setting increases your closeness to others. Makes you laugh. Merriment is a medicine and played with the right spirit, games should make you do anything from giggle and roar with laughter. See the game as a fun thing, not a must win situation. You can still be competitive but a good loser will have fun regardless of the outcome. Good for your brain. Games require memory, strategy and sometimes teamwork. All that gives the grey cells a good work out. Games make you forget stressful issues for a while or perhaps even see them in a more realistic way. Engaging with people we like can put things into perspective. Laughter is good for the immune system and digestion. Happy people feel better about themselves and life in general. We also give to others when we reach out for them. Without words, we tell them we like them and that they matter to us. Making others feel good is good for our well being. So why not organise a game with family or freinds? If someone invites you, get involved and make it fun for yourself and everyone else.